The Tirant hotel offers 80 rooms of 5 different room-styles to accommodate the needs of any business and leisure travelers: 9 Classic rooms, 22 Deluxe rooms, 22 Premium Deluxe rooms, 18 Executive rooms, 9 Grand Suite rooms. 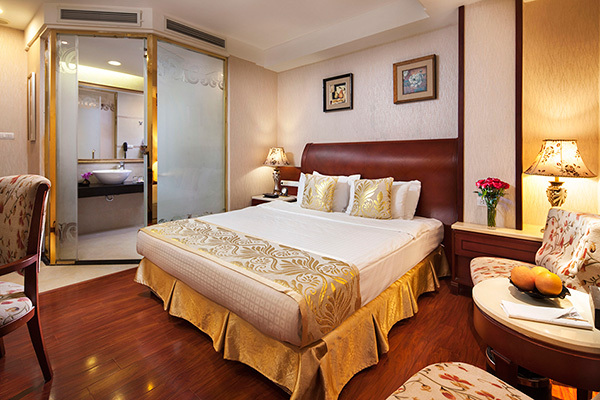 Our Classic & Deluxe Rooms are lavishly styled with glass enclosed showers, 9 ft ceilings, 32 in HD LCD televisions and an abundance of other amenities. 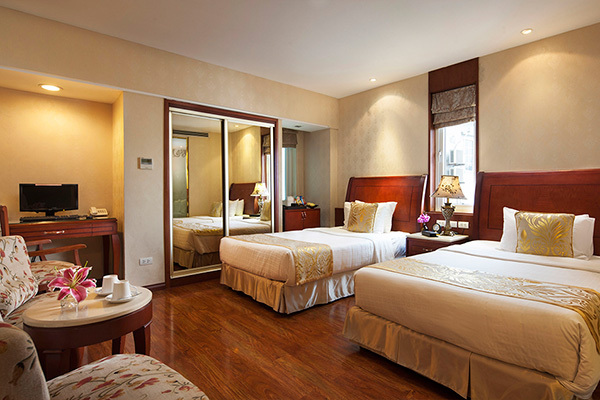 Besides the amenities offered in the Classic and Deluxe rooms, our Executive rooms feature beautiful street view. Furthermore, rooms on the higher floors are equipped with small balcony. Our Tirant Suite Rooms offer 450 SQ ft of living space, with two 55 in smart TVs, laptop and spacious resting area. The room is also equipped with large and modern bathroom which has bathtub jacuzzi. Every Tirant Suite has a balcony overlooking Old Quarter street or Hoan Kiem lake, which is a special symbol of our city, Hanoi. 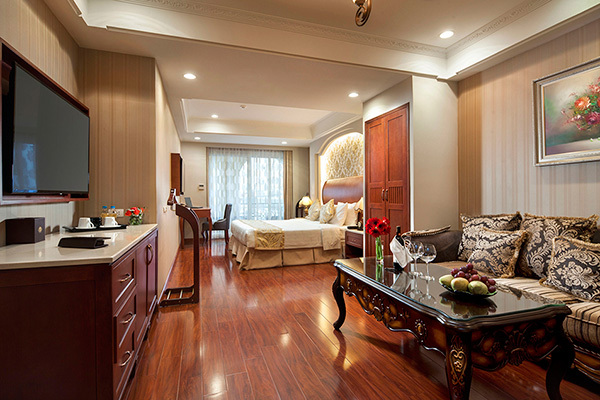 Tirant Suites are truly aimed at indulging your every travel need. Twenty-two Deluxe rooms of Tirant hotel are furnished with windows (back of the house, no view is available), wooden floor, large King-size bed or twin size beds, working desk & computer, a well-stocked mini bar, refrigerator and safety box. 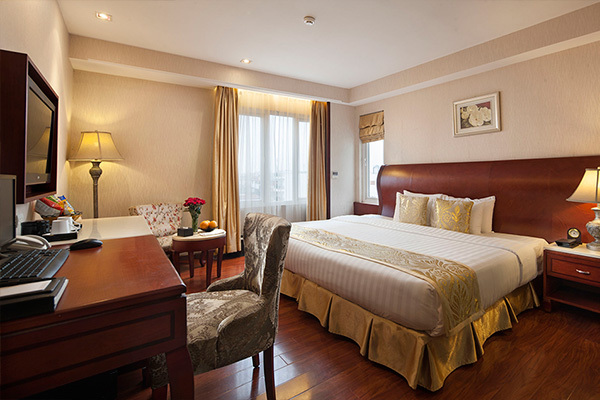 Eighteen Hanoi Tirant hotel’s warm and spacious Executive rooms feature the interesting view of the Hanoi Old Quarter’s GiaNgu Street. 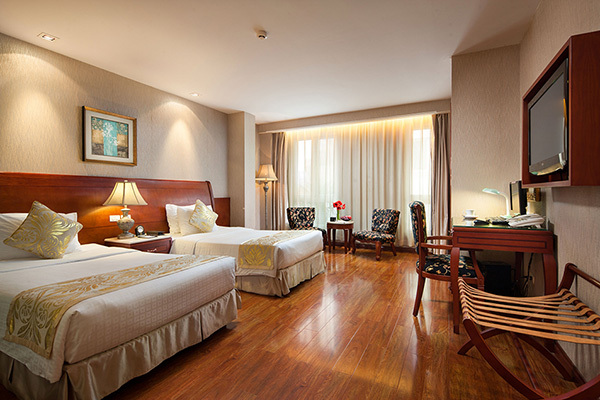 With a royal and elegant designed bedroom and a large bathroom that has a vast bath or shower cubicle, our Executive Room is the perfect choice for both business and leisure travelers. With our current facility, we can make use of the space given and organize from small meeting to big meeting up to 40 people. Meeting room is set up on the 12th floor with modern projector system, speakers and convenient table and chair setting. We also carter tea break and special brunch or snack according to your request.